Lex Luthor has been finally brought in Supergirl, setting him as the villain in Supergirl season 4. 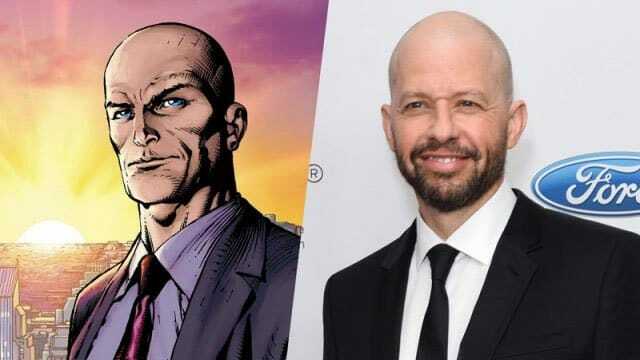 While many fans suggested this as soon as actor Jon Cryer was cast in the role, but very few could have speculated how well could Cryer play the iconic DC villain role of Lex Luthor. His introductory episode, “O Brother, Where Art Thou?” Would draw in the most accurate vision of Lex Luthor in so many years. What is Lex Luthor’s Backstory In Supergirl? Very few things have been said about Lex Luthor in the Arrowverse world till date. Lena Luthor, his sister was introduced in the season 2 of Supergirl. Lena managed the company in the wake of Luthor’s incarceration on a few changes. It had been said that both Superman and Lex were friends again, with Superman even assisted by Lex during alien invasions on Earth. But Lex’s violent methods didn’t go along well with Superman. He even felt that Superman gained all the popularity while he did all the hard work. The season 4 of Supergirl opens in 2015, with a flashback showing Lex being arrested after turning Earth’s sunlight to red in order to depower mSuperman. When story comes to the present Day, Lex has been taken to the Luthor Manor. After suffering a stroke in prison and even trying to inject Kryptonite into himself, he was asked to serve his sentence under hours arrest. He starts badgering Lena to test a cure that she’s making via Kryptonite, called Harun-El on him, figuring his brother has nothing to loose now. All these are adapted by the Superman comics, where Luthor found out that Kryptonite radiation is lethal for humans after he started wearing a ring from Krypton, through which he developed cancer. He also changed the sun red while trying to save Earth from hostile Kryptonian Invasion. A nod to Krypto the Superdog show was also added where Lex told Lena a story about a dog named Ingnatius that he owned before she was adopted into Luthor family. It’s going to be Jon Cryer’s performance as Lex that sold the character. While his casting was initially taken as a casting stunt, few actually pictured Cryer as bald, bearded Alan Harper by the end of the episode. Cryer’s performance as Lex Luthor seems to be drawn heavinfffom Gene Hackman’s performance as Lex in the Christopher Reeves’ version. While Cryer is know for his character from Two and a Half Men in having a humour similar to the role. It’s not surprising that Cryer’s Lex cures his condition towards the end of the episode, and killing his handler with the secret defenses in his mansion. The episode, however, comes to an end on a cliffhanger as he is coming out of Luthor Manor.